At Tuesday’s home game against Stevensville, the Pirates showed exactly what this “band of brothers” is capable of doing. The team dominated the court offensively; however, it was their full court defense that was more impressive. The Pirates kept their opponent to only 13 points in the first half, continuing their relentless defense the entire game, beating Stevensville 73-36. 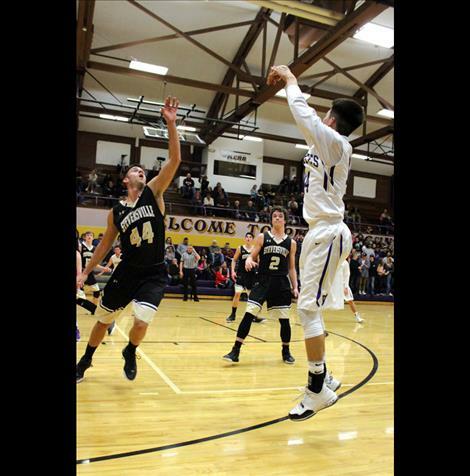 With a current season record of 6-2, the Polson Pirates head coach Randy Kelley is pleased to see, not only his starters, but the entire team making contributions to each game. Out of the 10 players on the Pirates’ varsity roster, eight of them put up points at Tuesday night’s competition, contributing to the win. Although Kelley has a strong team, he would like to continue sharpening their skills and keeping the team in shape in order to compete an entire game. 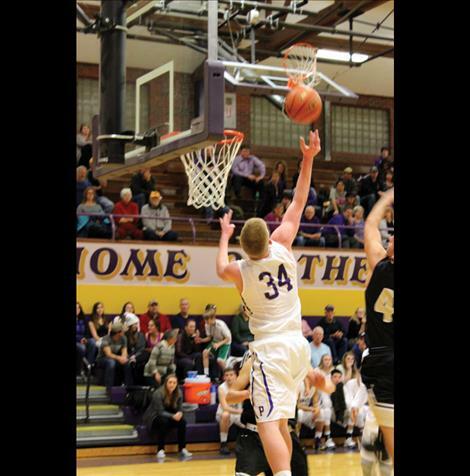 Leading the team in their win against Stevensville was Matthew Rensvold with 22 points. Other top scorers were Jones (18), Lefthand (9), and J’Von Niemeyer (9). The Pirates also took on Libby at home later in the week on Saturday, Jan. 16. The Pirates once again dominated the court, beating Libby 67-48 with Rensvold leading the team with 31 points. The Pirates host Glacier on Tuesday, Jan. 19 for a 7:30 p.m. game. Following Tuesday’s game, Whitefish will host the Pirates on Saturday, Jan. 23 for a 7 p.m. competition. Polson – Points: Matthew Rensvold 22, Julian Jones 18, Payton Lefthand 9, J’Von Niemeyer 9, Wyatt Ducharme 8, Tanner Wilson 3, Shade Main 2, Kabe Webster 2. Polson – Points: Rensvold 31, Lefthand 8, Ducharme 6, Wilson 5, Jones 5, Main 4, Hudson Smith 4, Haden Smith 2, Niemeyer 2.